These two performances will knock your socks off! Daniel Souvigny is a 14 year old piano prodigy from Hampshire, Illinois. He comes to us, as a nationally known ragtime piano player, but really … he is an all around outstanding pianist. Be sure to plan to see his inspiring performance on Sunday, April 12th in the Kaneland Auditorium beginning at 12:45pm. Daniel is generously donating his CD to our Art Auction. Both locally and nationally known,the vocal trio, Legacy Girls, has been thrilling audiences all over Chicagoland with their musical revues. They will capture your heart with their contagious smiles, and delight you as they take you down memory lane with a truly unique musical experience. 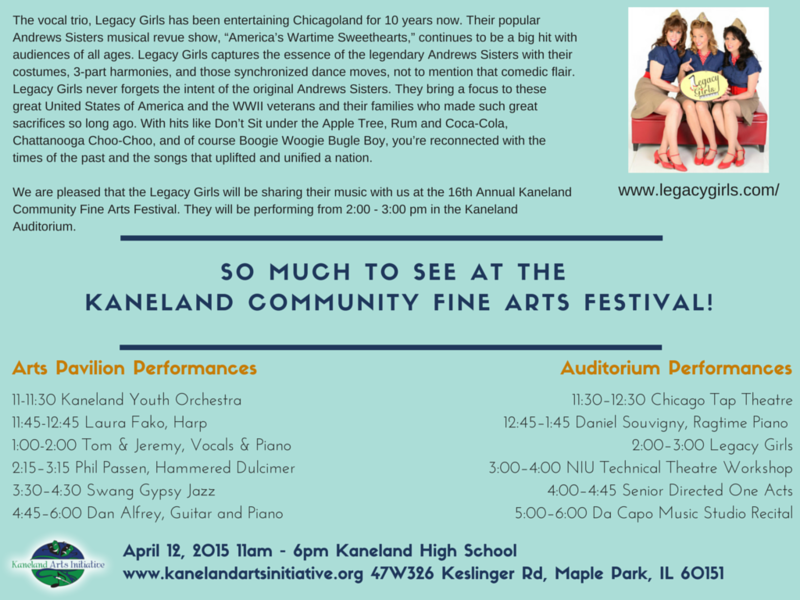 You can experience their music from 2:00 – 3:00 pm in the Kaneland Auditorium. 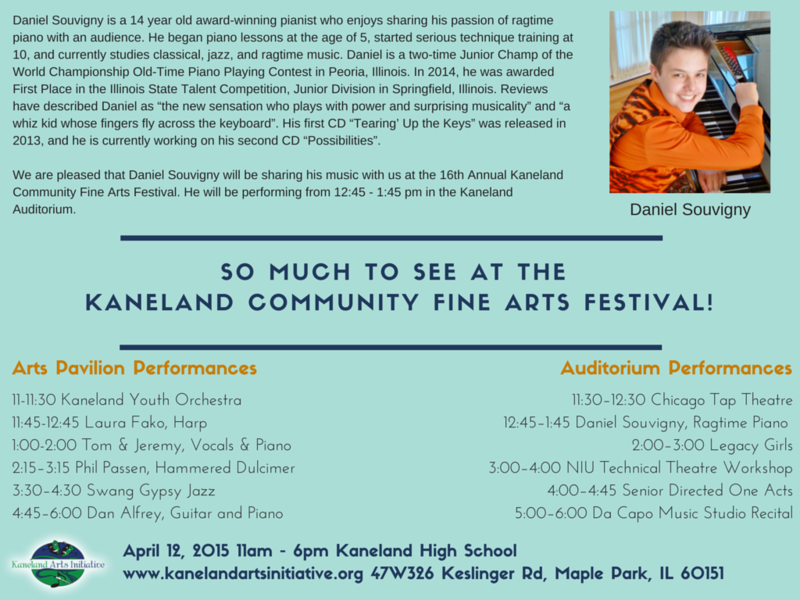 The 16th Annual Kaneland Community Fine Arts Festival is FREE and welcomes patrons of all ages to celebrate the Arts in a unique and hands-on experience.